Clay St. Residence — DomA Architects, Inc. This home was completely remodeled for a young couple who wanted to bring detail and natural light into the interior that the original house lacked. 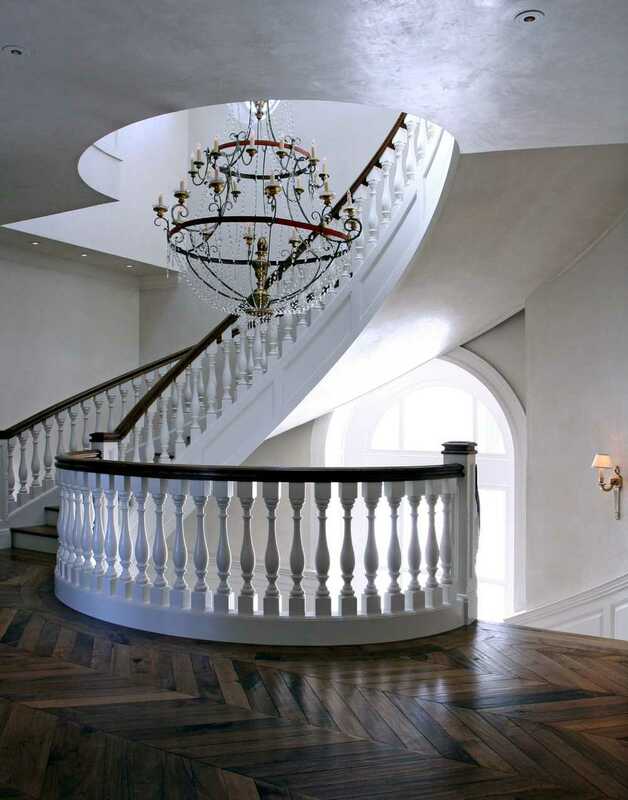 DomA Design Architects, Inc. organized the floor plan around a newly designed grand elliptical stair with a domed skylight above that brings light down through the home at 3 levels. The basement level accessed from a separate barrel vaulted ceiling stair; contains a Media Room, Wine Cellar, Exercise Room, Children’s Play Room and Au Pair Unit. The first floor contains all the formal public spaces; Entry Foyer, Main Hall Living Room, Dining Room while also providing their family with a Family Room adjacent to the Kitchen for everyday living. The second floor is the primary bedroom floor with a Master Bedroom Suite that has panoramic views of the bay. The third floor contains an Office, Guest Room and View Room that opens onto a terrace offering spectacular views of the Golden Gate Bridge and bay.